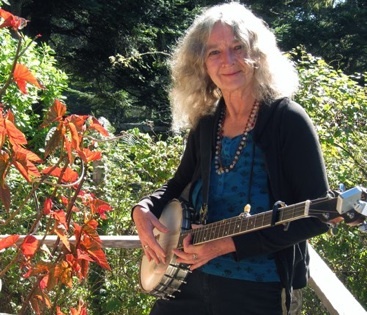 On Sept. 9, 2013, "Living Legend" Antonia Lamb passed away at home of natural causes in her beloved community of Mendocino. Antonia was the first child of Robert Blick and Marion Heller Blick (Bacon) and was born in New York City, on Oct. 3, 1943. She grew up in New York and Houston with her three siblings and cousin. She was born questioning the establishment and championed social justice from a very young age. As a teen, she studied dance, wrote science-fiction, sold four novels, discovered that she was psychic, became an astrologer and fell into the Greenwich Village music scene. After a brief stint in Hollywood as an "astrologer to the stars" in 1971, Antonia headed north to Mendocino in her Oldsmobile to live in a tepee with her two young children. It was there that she became part of a musical/tribal migration of friends. Antonia generously lent her talents and skills to her loved ones and community. She was a mother, sister, daughter, loyal friend, mentor, poet, novelist, editor, publicist, playwright, musician, singer, songwriter, satirist, actress, ballerina, professional photographer, community and planetary activist, radio personality, board member for many nonprofits, astrologer, psychic, scholar of the occult, epicure, world traveler, style icon, humorist and inspiration. She is survived by her son, Jim Lamb of San Francisco; daughter, Joanna Lamb Looby of Los Angeles; and grandson, Lucky Looby. Her surviving siblings are Martha Collins, Ruth Elliott, Bob Blick, Gus Blick and step-siblings, James Garrott and Glinda Shipley. Also surviving are daughter-in-law, Tammy Loo; son-in-law, Brian Looby; sisters-in-law, Carol Goodwin Blick and Sookie Blick; her nieces and nephews, Christopher Collins, Diana Elliott Cullquipuma, Jon Elliott, Mike Elliott, Lisa Elliott, Stephen Elliot, Annie Elliott, Penelope Hamilton, Amy and Alexander Blick, Jaden Jude and Asher Elliott and Fiona Hamilton. She will be deeply missed by her large circle of chosen family and friends. Antonia is also survived by Norton the Cat, who has found a loving new home with her neighbor. In lieu of flowers donations may be made in her memory to KMUD (http://www.kmud.org), P.O. Box 135, Redway, CA 95560, or The Mendocino Coast Children's Fund (http://mccf.info/), P.O. Box 1616 Mendocino, CA 95460. The first annual celebration of her being will be held on Saturday, Oct. 19, 2013, at the Caspar Community Center beginning at 4:30 p.m. All are welcome. Please bring a potluck dish, a memory of Antonia, and a biodegradable offering for a community-built outdoor altar.